A teenager will serve at least eight years in jail for his part in a group attack which left the victim requiring plastic surgery to a severed ear. Tyler Tomkinson, now aged 19, of Devonshire Street, Norwich assaulted the 15-year-old in Chapelfield Gardens, Norwich, in November. The victim was attacked with a knife and a metal bar, suffering multiple wounds to his arms, neck and an ear. 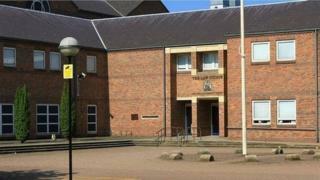 A 14-year-old was also convicted at Norwich Crown Court of being involved. The younger teen, who cannot be named named for legal reasons, had denied wounding with intent and possessing a bladed weapon. He will be sentenced in September after being found guilty of punching and kicking the victim. Reporting restrictions were lifted after the trial to reveal that Tomkinson had pleaded guilty in April to unlawful wounding with intent to cause grievous bodily harm (GBH) using a bladed weapon. He had also pleaded guilty to GBH against a second boy who received a fractured eye socket. Judge Katharine Moore handed Tomkinson a 13-year extended sentence because she considered him a danger to the public. The court heard that at the age of 17, Tomkinson stabbed a man in an underpass in Grapes Hill, Norwich. Another teenager, aged 16, who had pleaded guilty to unlawful wounding will serve eight months for an attack on the boy who received the fractured eye socket. A fourth teenager, now aged 18, was cleared of all charges. During proceedings the prosecuting barrister Lindsay Cox described the attack against the 15-year-old as a "joint enterprise" carried out by several youths. Speaking after the trial, a relative said the family of the main victim had been devastated by what had happened. She said her nephew "was trying to get his life back on track but had struggled because of the mental and physical scars the attack had left behind".